Does it seem like the assaults are more than the victories? Have we given place to a fallen strategy in our lives? When the enemy comes crawling into our thoughts why do we make him comfortable and dialogue? Evil is everywhere whether we acknowledge it or not. When temptations and demonic assignments come our way, we have a choice. There is authority that has been given to us from the Lord. There were miserable and horrible things that happened to Job but he never cursed God! He did not invite these acts of torment on his life, family and body. It was his heart of reverence and God's "proud heart" of Job that invoked the attacks on God's servant. (Job 1:8) This was authorized by the Lord. In the valley of decision when temptation is knocking or our flesh is weak we often allow the attack to be executed on us! We have weapons with divine power that can bring down strongholds. Our weapons can demolish arguments and every pretension thought that sets itself against the knowledge of God. We can arrest them and make them obedient to Jesus. Satan is very happy to see us fail, loose heart and loose our strength. He loves to interrupt the very joy that comes from the Lord. We don't fight in our own strength or power. Our weapons are from another Kingdom just like us! We have been born from above. The re-birth came with an arsenal of defense. Have you tried praying? Has the Sword of Spirit (the Bible) been on our lips; has it flooded our minds? 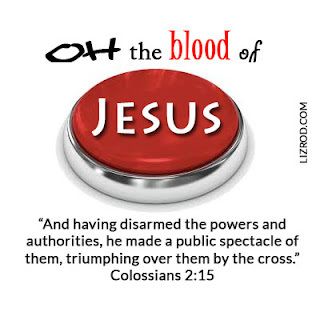 We have a Commander in Chief, the head of the armies of Glory that at the mention of his name he will dispatch an attack on the enemy who tries to beat and inflict chaos on his family that he purchased with his blood! An executive order has been issued! Yes, read that again! HAVING DISARMED THE POWERS AND AUTHORITIES! Nothing can touch or aggravate our lives that God himself has not already dealt with or given us victory over. Anything that comes our way that gives us trouble God uses as a refining tool; making us more like Jesus. The key is to remain just like Job. Job could have thrown in the towel and said I'm done; I give up; this is to heavy for me, but instead he remained faithful. He did not use his tongue to curse God. He actually rebuked his own wife. 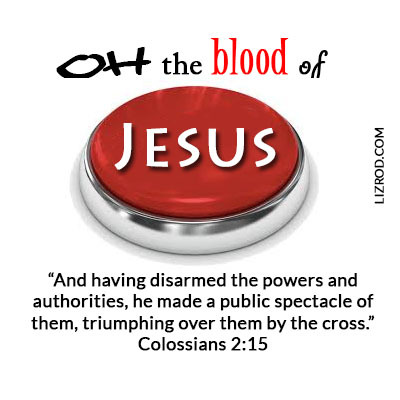 When the enemy taunts, tempts, tries to trip us; when he remembers his final destination and tries to take revenge on us with weapons of distress and affliction, even affliction of the mind, call on Jesus! Job continued to bless God's heart with his obedience. He did not turn away in all his agony. When the Fall ravaged the earth and its inhabitants, an Executive Order was issued from glory! "And when Jesus had cried out again in a loud voice, he gave up his spirit. I don’t believe I have ever shared this in writing. So here we go –for the glory of God! Shortly after I got saved (surrendered my life to the Lord, acknowledged I was a sinner and needed Jesus to forgive my sins) I began a battle that lasted for about a year. I didn’t start the battle; I did not welcome it or searched for it. It just happened. I began to have episodes of fear. I don’t even know what I was scared off. I remember speaking with my husband and sharing my heart with him. Deep thoughts and profound feelings pouring out; times of repentance and self-reflection. I could not pick up the Bible because I felt condemned. I had vivid wicked nightmares; mornings were difficult for I feared the attack would start all over again. It wasn’t that I was in sin. The issue was a voice that condemned me. As a new believer I did not know how to fight or even pray. I went through a valley that I believed no one could rescue me. No one knew what I was enduring except my husband. I recall traveling to Florida to visit my cousin. Through tears I confided in her some of what I was struggling with. The incredible thing was I was not even sure what I was afraid off or struggling with. You see, the enemy always tries to convince you that you are alone; sometimes we believe it. I could not put my finger on it. I could not trust my own thoughts. She had me call a wise friend of hers; a seasoned women in the Word that reassured me that I would overcome. She poured out Scripture so that I could meditate on it; we prayed and back to NY I went. I struggled for a year. This spiritual battle manifested to the physical and one day I broke out in hives. During the times of anguish I would huddle close to my husband. When I could not believe that I was going to be alright, I began to trust the the words that he spoke to me. God used my husband who is kind and gentle to be a compass of reason. Though reading the Bible felt useless, I knew enough that the Word was a weapon. It did not matter if I understood it, got revelation or if it was used by the enemy to accuse me –I read it! It was a live-saving drink! I share this because after all these years, I can look back and testify that this was a spiritual fight for me. As a newborn baby I did not know how to war in the spirit. There are things we don’t see that wreak havoc in our lives, primarily in our mind. If you find yourself in a place of confusion, condemnation or chaos in your mind reach out to someone you trust, a helper. For me the helper was my husband, someone I could lean on. He observed me and could pray and at times just hold me. When we are in the midst of a battle it’s difficult to orient yourself. The helper can be a great guide to stability; a reassurance that this to will pass. We must trust someone to confide in. It could be a friend, a sister, perhaps a counselor or Christian therapist. We need someone to intercede in prayer and also the ear of someone we trust. Above all else never put down your SWORD –the Mighty Word of God. Listen to the Word, read it, meditate on it. Sometimes it seems like the Word of God does not have an answer when our minds are under attack. I can testify that the Word of God teaches us how to win the fight. When the enemy brings confusion, everything seems mixed-up, and misunderstood. The enemy can bring us to a place of misconception, a false reality. The Word of God will speak truth into our lives and indeed I testify that he brings Victory! This too shall pass. Victory is coming –surrender to the Helper! I read this recently: This too shall pass. It might pass like a kidney stone, but it will pass. This time of year usually causes me to look backwards. I specifically recall a trip I took when my son was around 5 years old. My niece had just been born and I postponed my trip by a few days so that I could meet her. Happy birthday Stephanie! So, every year around this time I recall my birthday as well. During an incredible trip to Florida, I had an encounter with the Lord. My life was changed and reflections of that time continue to shape me into who I am today. 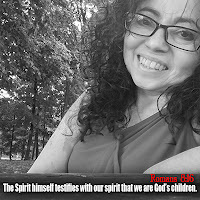 A young mother, perfectly traveling through life, I was intercepted by the Spirit of the Lord. Well, some of you already know my testimony, to God be the Glory! Earlier this week the two Scripture verses I shared were, from Psalm 20 & Psalm 27. I remember sitting in my cousins living room as she read those verses to me. They were forever edged in my heart. Salvation comes and changes lives! We are born a new! 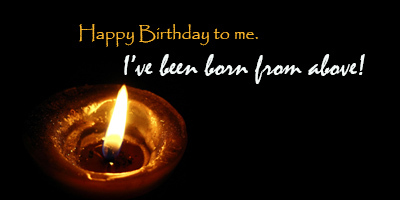 Yes, Happy Birthday to me! When fear and every fallen entity tries to dictate what my joy should be I look to the Word of God. "The Lord is my light and my salvation—whom shall I fear? The Lord is the stronghold of my life—of whom shall I be afraid?" This journey has taught me and continues to remind me that I get my help, wisdom, direction, and understanding comes from the Lord. He is the One I entrusted myself too and he shapes, guides, forgives and reinstates me quickly to himself. To God be the Glory! It's a glorious ride! Almost 48 hours into the New Year. How will we travel through this year? What kind of adventures will we have? We plan and calendars begin to fill up. Quickly 24 hours turns into one week and weeks turn into months and soon we do it again. 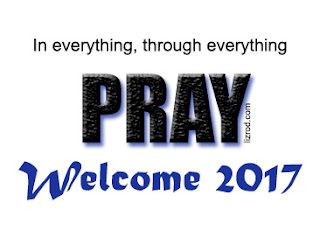 What happens between January 1 and December 31 must be submerged in prayer. It must be flooded and sunk deep, plunged into the heart and hands of the Lord. Often prayer can be thought of as this long elaborate dialogue that must be eloquent and convincing. Convincing to whom? Perhaps we want to make sure we did it right? In the Book of Nehemiah, the Cup Bearer to the king came with a request. It was not an easy request. When the king asked “What is it you want?”? Nehemiah did not have time to run to his chambers and continue on bent knee to call on the Lord. What we see is that quickly he invokes the Presence of God and he prayed to the God of heaven. Weather he prayed quietly under his breath or his heart spoke a request to the Lord we do not know from the reference. What is certain is that he prayed! Sometimes a friend calls and is in turmoil. We may not have much to offer but we can pray. Driving down the highway we see an accident and we can’t stop, but we can pray. Prayer meetings are scheduled at church and we make excuses not to go. Put it on the calendar and let us pray. In the middle of the night fear and questions bombard your mind; pray and call on the one that can give us rest and peace. Impossibilities and circumstances that we can’t seem to understand; have we tried praying? Are you seeking the face of God? Have you trusted in Him? Wrong has been our choice. Sin has visited and we welcomed it. Like the thief on the cross his prayer drew him to the heart of God. We know from Scripture that Nehemiah was victorious. Oh, he had many challenges but as he cried out to God we see God’s faithfulness leading Nehemiah to rebuild that which had been torn down. Prayer is not constrained by time. Sometimes it seems God has not heard us. Sometimes the answer is no. Often the answer is in the waiting. Other times before our words are finished the miraculous has already occurred. The outlook changes because our hope is in the One that is over ALL! Let me encourage you to pray in this New Year 2017. As you see the Lord moving in your life, I’d love to hear your testimony of what God has done or is doing in and through you. If prayer requires kneeling, then kneel. If your preference is praying while you drive, then drive & pray. If the need requires to call a friend, then call and agree. Long or short prayer....let us pray! 2017 Prayer Tip: Make a list on your cell phone with a daily reminder to pray. Add names and situations; list dreams and visions. Pray for the lost and encourage those who cross your path.